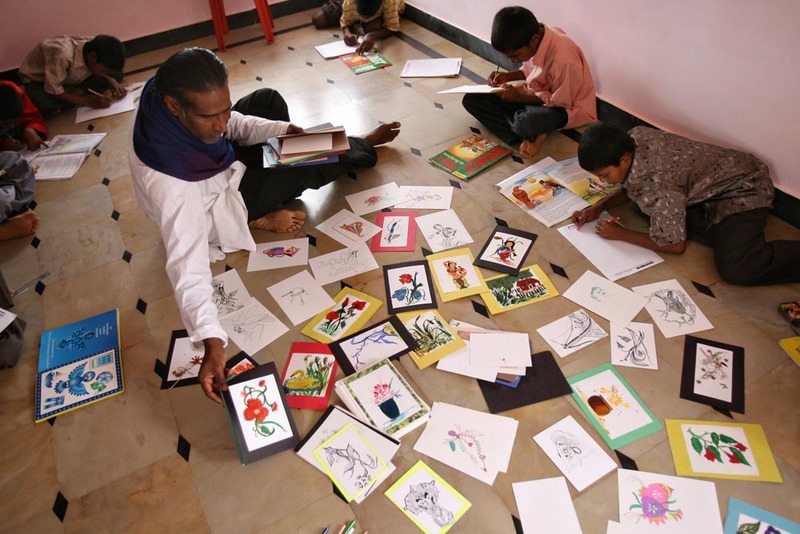 John Kennedy Samson lays out the children’s drawings that he tries to sell as a way to raise money for the orphanage since it lacks any government sponsorship. "Paying for the education is the toughest. I am disappointed in life sometimes when I give everything and still it is not enough."